Image courtesy of Cali Stenson. This is a guest post from Cali Stenson and Karina Chan. Cali Stenson is a sophomore at Wellesley College majoring in computer science and minoring in math. She’s the co-hack chair of Wellesley’s Computer Science Club, a member of the Wellesley Whiptails Ultimate Frisbee team, and an avid believer in learning and sharing knowledge with others. Karina Chan is a junior at Wellesley College. She is majoring in Computer Science and minoring in math. She tweets all things technology and cat related. 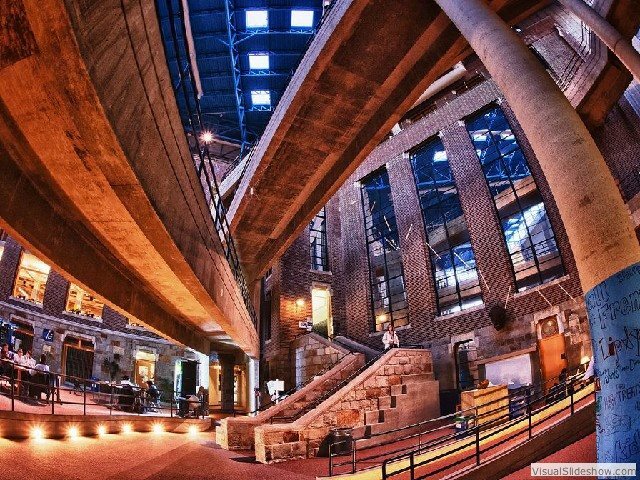 The first hackathon we went to was PennApps over Valentine’s weekend in February of 2014. We thought it sounded really fun; who doesn’t want to spend their weekend making a cool app or website? It wasn’t exactly what we expected. Hackathons are glorified as centers where people build life-changing and legendary projects; however, most of the students at PennApps seemed to just end up tired, dirty, and a little defeated. What went wrong? Is it the perpetuation of the no sleep/shower/brogrammer stereotype? We do know that we were two of the few women within an entire group of 1,200 hackers. We didn’t have a great time, but we learned something. We found ourselves in an environment that unconsciously shuts women out, and even worse, women who are beginning hackers. We felt like we did not belong; we could not possibly be competent enough to compete with the guys who seemed so much better than us with their aggressive energy drinking and loud bragging. Not to mention, some unconscious aversion to showering. There is no moment where you have more impostor syndrome than when you meet brogrammer after brogrammer with a successful app/gadget at the end of a hackathon where you did not even get a basic website up. This might seem like a surface-level and exaggerated assessment, but from what we’ve seen, getting that feeling of acceptance at a hackathon needs to begin at the ground level as well as the top level. Even with the plentiful conversation flowing about gender inequality in tech and the beginning of forced gender ratios at hackathons, it is important to change the “brogrammer” culture of hackathons. One of the major problems for women interested in hackathons is that it is intimidating to throw yourself into an unfamiliar environment, only to feel different and rejected. Why is this even a problem? In its purest definition, hackathons are havens where people who like to build things have time to build things. Impostor syndrome is distracting and needs to be addressed based on what women are looking for in hackathons and on how teams interact with one another. Are the needs of women different from men? How do we appeal to both audiences? Hackathons should foster an environment friendly to all skill levels and all people that encourages learning for the sake of it, and this is should be enforced not just by creating a magic ratio, but by changing how the internal culture is run. Over the weekend of April 17-19th, Wellesley College’s CS club along with a group of CS students at Simmons College will be hosting a hackathon that aims to change the internal culture. We want to create a pure space that supports learning and developing while also creating opportunities for networking with current members of industry, i.e. alumnae of Wellesley college and professionals in the Boston area. We’re focusing on the target audience of undergraduate women in CS (will not exclude men), and we encourage students who do not thrive in the typical hackathon environment to come learn to hack with us. Our aim is to focus on the ground up and to address these questions: how do we get women to participate in the hackathon scene, and how do we get women (+ men!) to stay? Editor’s note: For more information on attending the hackathon, sponsoring the hackathon, or being a mentor, please fill out this contact form, which sends email directly to the Wellesley CS Club. This entry was posted in Uncategorized and tagged hackathon, hacker culture, hacking, higher education, impostor syndrome, programming, women in computing, women in engineering on 2015/02/04 by Guest Blogger. This entry was posted in Uncategorized and tagged advertisement, hackathon, impostor syndrome, tired on 2013/10/10 by spam-spam. This is a guest post by Naomi Ceder, who has been active in the Linux and Python communities since… well… for a long time. She has taught programming and Python online, in high schools, at Linux Fests, and in the Chicago Python Workshop, and is the author of The Quick Python Book, 2nd ed. from Manning Publications. She is vastly relieved to have finally transitioned to female after half a lifetime stuck “undercover as a man”. She speaks and blogs both about Python and about her experiences with gender transition in the tech community. In mid-September of 2013 in a small art gallery in Oakland, something wildly improbable (to say the least) happened. Some 40 people – trans*, gender variant, queer, cisgender – came together for Trans*H4ck, the very first hackathon dedicated to helping the trans* community. Hackathons for various causes are common enough these days, but for many of us Trans*H4ck was truly special – in spite of trans* people being relatively common (if you can use the word “common” for us at all) in the tech community, there had never before been a hackathon devoted to trans* issues. Not one. On the evening of September 13, under the leadership and vision of Dr. Kortney Ryan Ziegler (one of the inaugural Trans 100) that changed. The first evening was spent getting acquainted with the some of the issues and with each other. Janet Mock, Sarah Prager (of Quist App), and Micha Cardenas spoke via Google hangouts and Kortney briefly recapped some of the all too depressing statistics relating to being trans* – high rates of unemployment, homelessness, violence, and suicide and low rates of income, access to health care, and basic human rights. After the panel, the hacking resumed and the teams sprinted towards a submission deadline of noon on Sunday, with the demos and judging to follow. In first place, Trans*ResourceUS, an ambitious effort by the largest team. Trans*ResourceUS is a user editable database of services for trans* people – giving location aware listings for health care, mental health, social, restrooms, employment and housing resources. Right now the submitter is the only one allowed to enter ratings on things like accessibility and trans friendliness, but that is slated to change. One very cool thing about this service is that it is also accessible via SMS on a flip phone, so even users with limited resources can take advantage. The second place winner was Dottify.me, a social micro survey site. Here the idea is that to collect any reliable information on trans* people it needs to be both very easy to interact with and preserve anonymity as much as possible. Dottify.me does this by collecting only a zip code for now and the displaying that zip code as a pin placed at a random spot in the zip code on a map. Future enhancements are planned. Third place went to the Trans Health Access Wiki, a wiki to collect information on how to take the fullest advantage of the health coverages available and mandated for trans* people, state by state. While it is starting with California, Oregon and Vermont, the creator (a one-woman team at the hackathon) is already working on expanding it. A couple of the other very cool projects created at Trans*H4ck were Know Your Transgender Rights an interactive map of trans* rights in all 50 states and ClothesR4ck (still in development) a clothing exchange aimed at helping people get quality used clothing to trans* people going through transition who might not be able to afford it. The apps and content marshaled during Trans*h4ck were pretty amazing for such a small group of people in just a little more than 36 hours. That all of the efforts were so immediately useful speaks both to the developers’ vision and skills as well as to the lack of digital resources for the the trans* community. Those few teams in those few hours have probably advanced trans* friendly resources by years. But the outstanding thing about Trans*H4ck to those of us who were there was not the applications, as useful as they are, so much as the community spirit of the weekend. Even though we were from all across the gender spectrum, of different ages and backgrounds, and even (gasp!) preferred different programming languages, there was a true sense of cooperation instead of competition, and an atmosphere of acceptance, support, and affirmation. For many of us it was a rare respite from feeling different and alone and a special chance to stand together as a community and take action to help our own. For all of us it was a precious moment of unity and, corny as it may sound, joy. 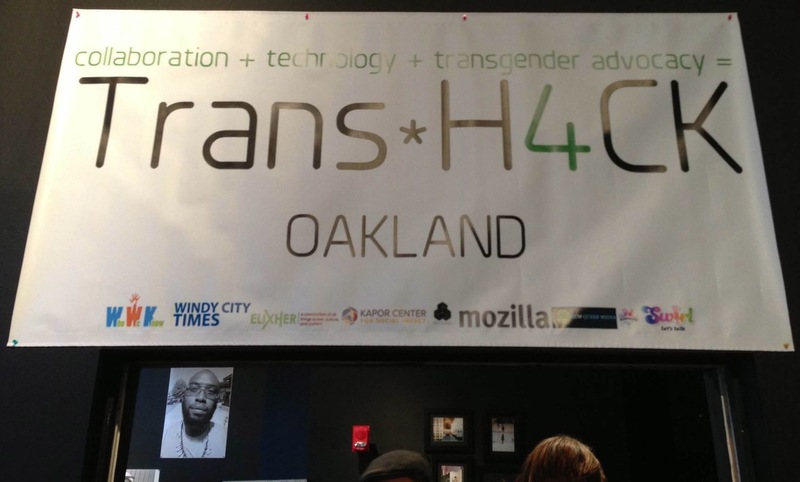 So was Trans*H4ck a success? As one hacker put it, “we did, we can, and we will make history.” Indeed. 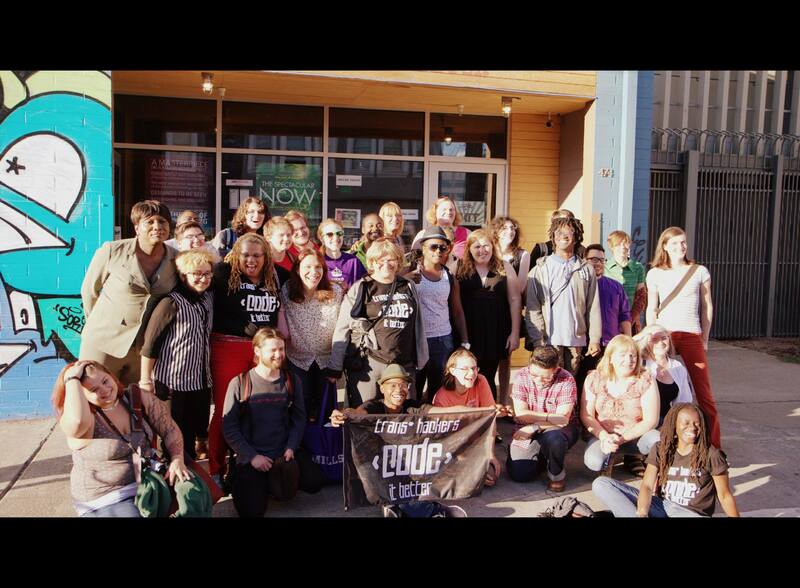 This is what a community of trans* hackers looks like. For more information on Trans*H4ck, see the Trans*H4ck home page or look on Twitter or Facebook for the #transh4ck hashtag or contact the author. This entry was posted in Uncategorized and tagged gender and sexual minorities, guest post, hackathon, trans, transgender on 2013/09/23 by Guest Blogger. Come here and work on hard problems, except the ones on our doorstep: The San Francisco startup scene and wealth disparity. Dear Learn to Code Startup, an open letter from a computer science teacher. “[I]f you really want kids to learn to code […], then don’t make yet another tool or start yet another class that’s separate from your nearby school.” What follows is some good practical advice on how to help way more children learn to code. Girl Expelled For Science Experiment Going To Space Camp: Not an entirely happy ending, but certainly a hopeful one. This entry was posted in Uncategorized and tagged booth babes, Gaming, hackathon, Linkspam, social hacking, social media, teaching, women in media, women in science on 2013/05/27 by spam-spam. The Big Idea: Michelle Sagara : New YA book about the *nice* girls, for once. This entry was posted in Uncategorized and tagged allies, Gaming, hackathon, Linkspam on 2012/05/25 by spam-spam.